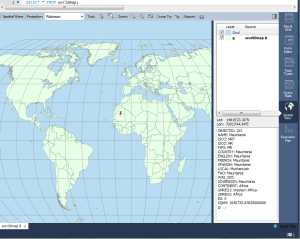 Workbench announced support for a spatial view in 6.2, but examples are somewhat lacking. Just how do you get a SHP into MySQL? Download and unpack a SHP file such as these country boundaries. Now create a table and load the CSV. Now just select rows of interest in Workbench, click the Spatial View format button, and there's your world map. 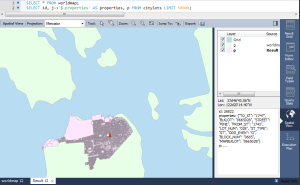 You can run multiple selects (such as the citylot data from yesterday's post) to overlay on top of the world map. The world is not in your books and maps. MySQL 5.7 came out with support for JSON, improved geometry, and virtual columns. Here's an example showing them all playing together. Connect to a 5.7 instance of MySQL. 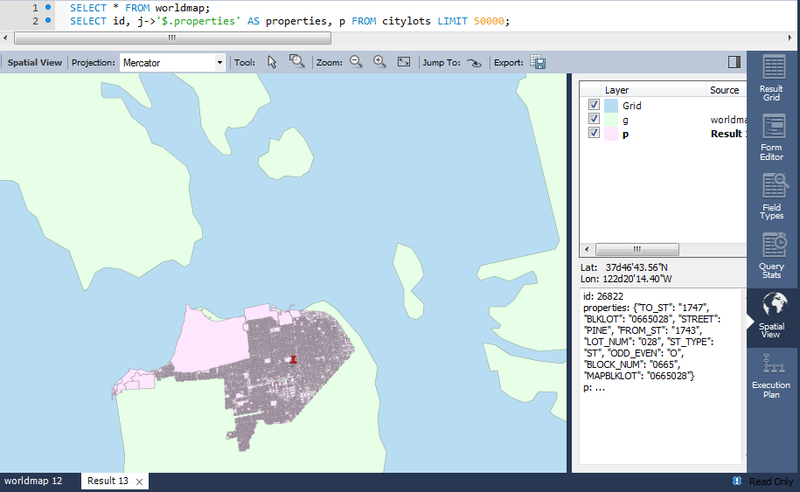 Then click on Spatial View. It takes a couple of minutes for 200k rows, but there's a map of San Francisco. The default projection, 'Robinson', is designed for showing the whole world at once and so is pretty distorted for this particular data set. Mercator or Equirectangular are better choices. Fortunately, Workbench repaints the data in just a few seconds. 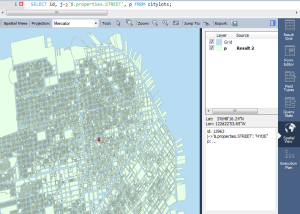 If you selected some other fields, you can click on the map and see the relevant data for that particular geometry.